This example introduces the quarter note. This is actually the most basic unit of rhythm; whole notes are made of four quarter notes, and half notes are made of two quarter notes. 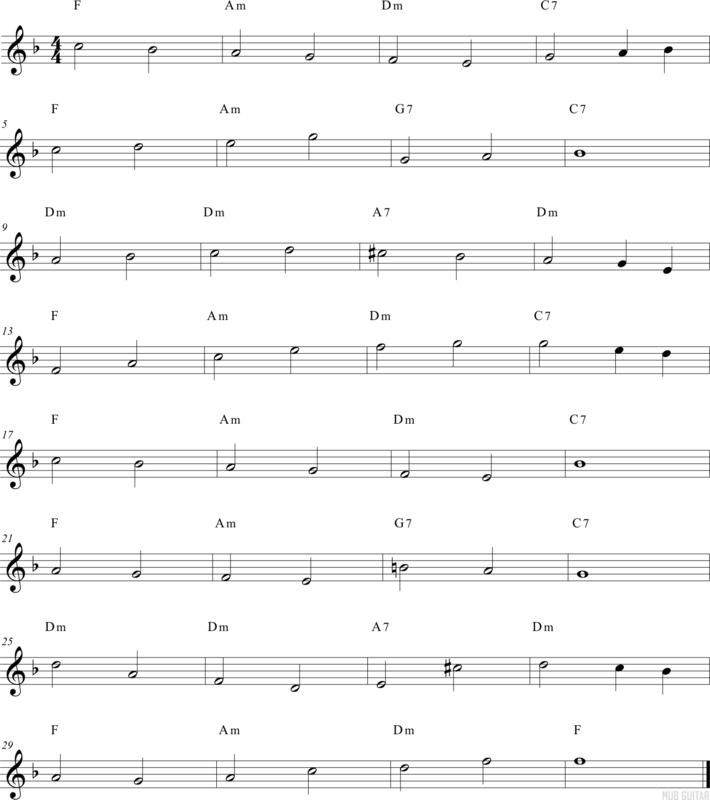 So in this example, if you had a metronome running, you would play one note per click. Pay special attention to the quarter notes and be sure you can perform them with accuracy. There will be more to come.